As people in the culinary world -- scratch that -- as every foodie would say, "Everything tastes better with bacon!" And if you're a carnivore, I'm sure you would agree. So when a pastry chef suddenly treads the savory path and whips up a bacon line, you go and thank the heavens above. As soon as I received the bacon line package, I immediately tore the plastic and uncovered three bottles of what I deem to be a sinful delight. Yes, I had to shoot them first; I'm wired like that, go blame the blogger in me. Then, I got out my Fita crackers ('coz they are best paired with them and 'coz they are the only ones I see readily available in my cupboard), opened the Bacon Jam (P280) and plopped down my dining chair. Generous bacon bits, every millimeter bedaubed in a sweetish sauce, its savory property still lingering inside. I smear some more on my cracker, not wanting the flavors flirting on my tongue to end. With the jar of bacon jam still open, I unearthed the next treasure. The Bacon Parmesan Cream Cheese (P250) was somewhat similar to my favorite spinach artichoke dip, only this time more creamier and with those beloved pieces of porcine meat of course. I love the tinge of acidity washed down with every bit of bacon I nibble on. 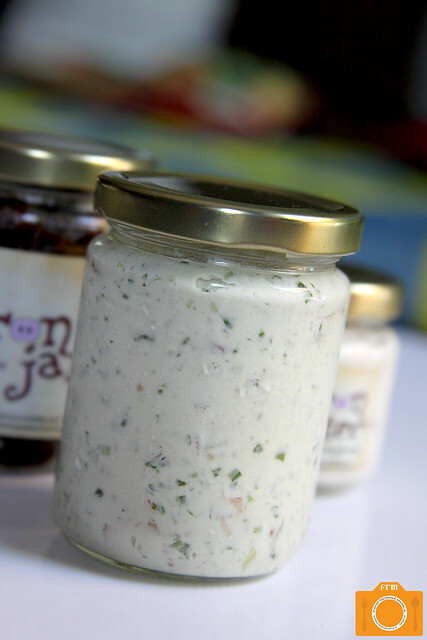 And when I try to mix it with the jam, an explosion of flavors overtook my palate. Sweet, acidulous, salty, sweet, acidulous, salty; the reciprocity just kept going on, while crumbs of crackers fill my table. 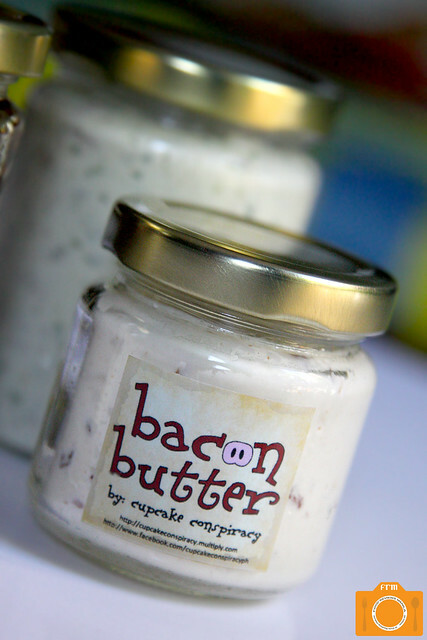 Finally, the Bacon Butter (P120). Its consistency was a bit hard as was any other butter that came from the fridge. A blotch on the cracker proved to be of no memorable trait. Nevertheless, I didn't give up. I bought some dinner rolls the following day, heated a large chunk of the bacon butter until it almost melted, and finally spread it generously on top of my roll. Mmmm... I can feel its sebaceous goodness just rolling off my tongue. It was so good. The buttery consistency with the sporadic bacon bits was simply luscious. 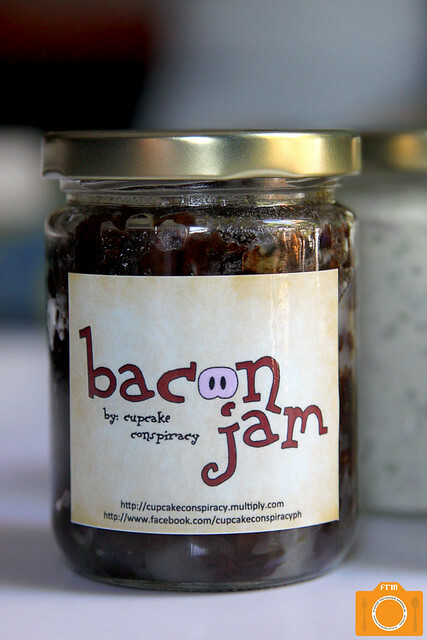 And if you wanted more bacon, you could always add more bacon jam to make your mornings brighter. I am a sucker for bacon!!! Interested in that Bacon parmesan cream cheese!! 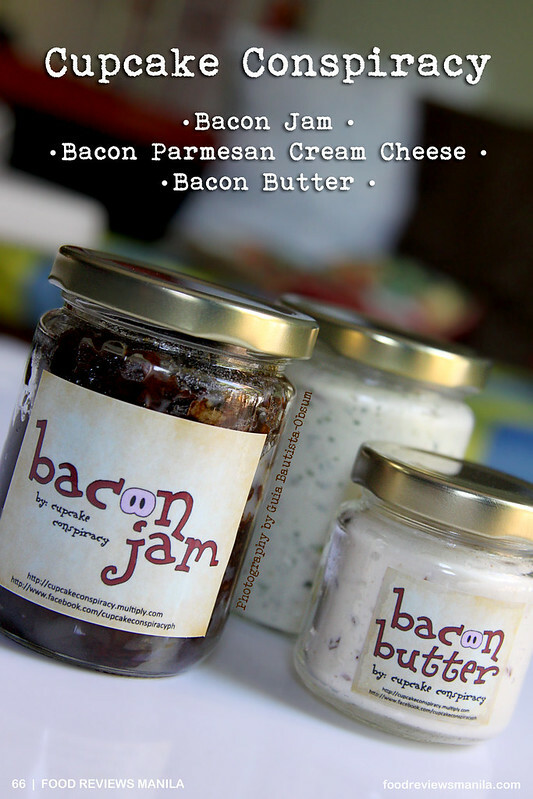 Bacon jam and bacon butter, Yum!